Depending on the nature of your business, your target audience may differ significantly. Geographic location is an important consideration, and many local St. Louis businesses restrict their targeting efforts to specific neighborhoods. As a local fashion outlet or restaurant, for example, you know that the people most likely to turn into customers are the ones that live within a specific radius around your business. Thanks to the U.S. Postal Service, reaching out to your neighborhood’s mailboxes is remarkably simple. 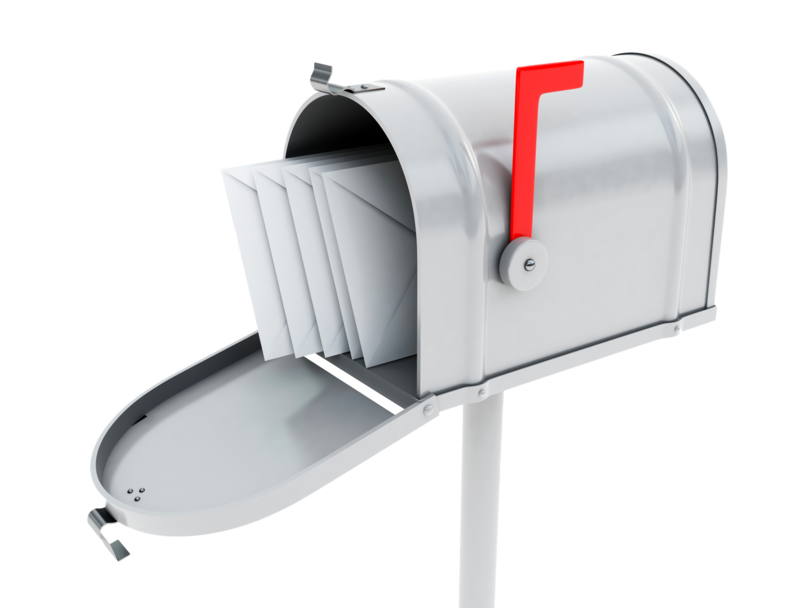 EDDM (Every Door Direct Mail) allows your business to mail printed materials to your target audience, without the regular cost of direct mail. The concept is simple: by targeting your marketing based on mail routes rather than sending that mail to individual and specific recipients, you save the postal service time. And that savings will be reflected in the lower cost to you. That cost is currently at $0.183 per mail piece, compared to $0.25 (or more) for regular bulk mail, depending on its dimensions. Thanks to EDDM, you can target entire neighborhoods cost effectively. Whether you plan on sending postcards, plastic mailers, or flyers, this service will help you reach your target audience on a budget. Don’t be hesitant to be bold and creative with your EDDM materials. 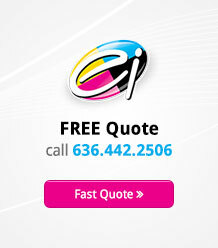 You want to stand out from all the other local competitors who also know what a good idea EDDM is. Another effective way to provide outreach to entire neighborhoods is through door hangers. While you may be accustomed to these through their use in the hospitality industry to notify guests of changes to the room before entering, door hangers are effective marketing tools because they require your audience to take action—taking it off the door. Because of their unique location, door hangers are particularly beneficial for service-based businesses such as lawn and landscaping companies. However, they can work well in any industry, thanks to their easy customizability in the printing process. For example, you can include a coupon on the hanger that both entices action from your audience and enables you to track your initiative’s success. Or, especially if your physical location is important to your business, you can print a map on the door hanger to guide prospective customers to your business. Either way, including door hangers in your local marketing strategy can help you put your business on the map and generate brand awareness. Strategically placed yard signs in high-traffic areas can be incredibly effective. We’re entering the height of the 2016 election season, which means yard signs that advertise local candidates for office are everywhere around St. Louis. For your business, this crowding of singularly purposed yard signs is an opportunity: your audience will crave signs that advocate something other than a candidate, and your brand can be happy to fill in. Creative yard sign designs help you stand out and promote your core message to your audience. 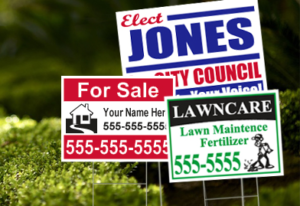 When using yard signs for local marketing, two things matter most: location and design. First, you should place signs in areas that have the perfect balance of high car and foot traffic. Don’t neglect the speed of the nearby traffic, either. A local highway with 55 mph speed limits will not be effective for yard-sign marketing. However, your neighborhood’s main road, where the limit may only be 25 mph, will allow your audience to pay attention to their surroundings . But even on low speed roads, your audience will only be exposed to your yard sign for a very limited amount of time. That means you should keep its design simple, and limit its design to clean lines and a few words that describe your core message. When done right, yard signs significantly enhance your business’ brand awareness within your targeted neighborhood. Ideally, your local marketing efforts should not be restricted to one or two tactics. Research indicates that in order to be remembered by your audience, the audience should see your marketing message at least seven times. This means that for the best results, you should invest in a print marketing campaign that combines all three strategies: EDDM, door hangers, and yard signs. Combining these print marketing methods will broaden your reach and multiply the amount of exposure your brand has with your audience. To be successful in this multi-touch approach, you should create a consistent brand identity that enables your audience to connect all of your materials back to your core brand. You should include the same language, graphics, and images on your direct mail pieces, door hangers, and yard signs. Each should be unique and be designed with the correct proportions, depending on its location. Although unique, materials in each of your print marketing venues should display an easily detectable common thread that enables your audience to make the connection back to your brand. Are you trying to raise awareness of your business within your local neighborhood? If so, these three print marketing strategies are a great way to start and grow your outreach efforts. 3 Print Marketing Must-Haves For Your Political Campaign Simplifying Printed Direct Mail for Local Marketing 6 Key Strategies For Effective Business Copy Marketing Your St Louis Business in 2016 – Do You Have a Plan?